Cyprus wedding traditions surround the wedding couple, incorporating the best man (koumbaros) and chief bridesmaid (koumbara), the bridal couple’s families, their friends — often their entire village — and numerous rituals that symbolize the couple’s commitment to each other and their place in Cypriot culture. Sugared almonds (koufetta), which the bridal couple give to their guests as they leave the church. Upon the engagement of the bride and groom, their parents gather at the home of the bride and bless the couple. The groom’s family accepts the task of making the traditional sesame-coated breads (glistarkes) that the bride’s family hands out as invitations to the wedding. On the day of the wedding, when the bride is dressed and ready to leave for the ceremony and while musicians play and sing, the bride’s parents, chief attendant (koumbara) and close friends wrap a red scarf around her waist and head to symbolize her virginity. A similar ceremony takes place at the groom’s house, where his best man (koumbaro) shaves him — the “last shave” — in the presence of his family and friends. He then dresses the groom in shirt, waistcoat, cravat and dark suit while musicians sing and play. His friends and family then wrap the red scarf around the groom’s waist as a symbol of his fertility. The groom and his family and companions make their way to the bride’s house, and all depart for the church. If the wedding takes place in a village, the bride wears a conservative gown covering the tops of her arms, and the bridal party and companions walk to the church. In a larger town, the bride wears a short or long evening dress, and she and her father arrive at the church in a car, limousine or horse-drawn carriage to greet the wedding guests awaiting them outside the church. Before entering the church, the bride’s parents give her away to the groom, who has waited for her with her bouquet. During the ceremony the priest gives the couple ceremonial bread (prosfora) to eat and red Cypriot wine (koumandaria) to drink, symbolizing the wedding at Cana in Galilee, where Christ blessed the marriage and converted water into wine. The bride’s chief attendant places on the bride’s head a ceremonial headband (stefana), traditionally made of materials ranging from lemon leaves, olive branches and vines to gold and jewels, and symbolizing God’s blessings. The best man places a similar headband on the groom. In an Orthodox service, the priest will say a prayer over the newlyweds and their stefana, wishing them all of God’s blessings in their new life together and hoping for the family to be ruled wisely. The marriage crowns are extremely important to the couple, who will often save them and place them on display in their new home, and may even be buried in them. The ribbon that binds the two crowns, representing the lasting union between bride and groom, is to be kept intact for a lifetime. Because the crowns are considered a lasting keepsake, brides today often arrange for the creation of matching stefana and custom bridal jewelry handcrafted of the same fine materials, such as pearls, sterling silver, and Swarovski crystals. Wearing the stefana, the couple exchange wedding rings three times before placing them on the fourth finger of each other’s right hand, to recognize that God’s right hand is the hand that blesses. The couple then perform the Dance of Isaiah, the priest leading them three times around the table that holds the Gospel and the Cross. The best man and chief bridesmaid walk behind the couple, holding the stefana in place. The priest blesses the couple, removes the stefana and asks God to grant them a long, happy life together. Finally, the priest separates the couple’s joined hands, showing them that only God can separate them from one another. The bride and groom are now officially married. As they leave the church, the bridal couple offer the guests sugared almonds (koufetta), their egg shape representing fertility and the new life that begins with marriage, their firm texture symbolizing the endurance of an everlasting marriage, and the white sugarcoating representing purity and the sweetness of future life. The almonds are offered in an indivisible, odd number, to symbolize the indivisibility of the new union. The single women at the ceremony share the almonds and red ribbon, placing them under their pillows to induce dreams of the man that each will marry. The wedding guests toss rice at the couple as they leave the church, wishing them a life of happiness, prosperity and many children. The wedding reception may well go on into the early morning hours. Among other traditional Cypriot foods, guests enjoy koulouria, a ring-shaped cookie or biscuit sprinkled with sesame seeds. Early in the festivities, the unmarried friends of the bride may write their names on the bottoms of the bride’s shoes. At the end of the evening, the bride removes her shoes: the woman whose name remains written there will traditionally be the next to marry. Midway in the celebration, the couple perform the newlywed dance, offering their guests the opportunity to pin money to the couple’s clothing, allowing them to pay the wedding expenses and start their married life free of debt. At the end of the evening, in a custom common to many cultures, the single girls gather on the dance floor as the bride, at a fair distance and with her back to them, tosses her bouquet in their direction. The girl who catches the bouquet is expected to be the next to marry. In a similar custom, the groom makes his way underneath the bride’s skirt and, using his teeth, removes a ceremonial garter. All the single men then gather at a distance as the groom, with his back to them, tosses the garter in their direction. The man who catches the garter is, by tradition, the next one to marry. Do you have any other Cyprus wedding traditions or indeed any from your home country that are special just to your village, or your family. Lots of international brides to be will be reading this page for inspiration for their own wedding on the island so I would love to hear what you have to share and any photographs would be most welcome. Leave your comments in the box below... thanks so much! 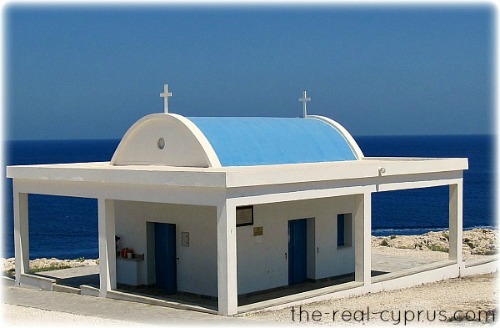 What are your Cyprus wedding traditions?